To master the German language is for many asylum seekers and migrants of the key for a better orientation in Germany. Daily life is difficult without a principle of words and sentences and things such as the practice of a profession or the completion of a training is hard to think. Fortunately, there are many offers for those interested, whether in everyday life or even career – to improve German -. Because these courses are very popular, many interested people have to wait unfortunately always a long time on a course. 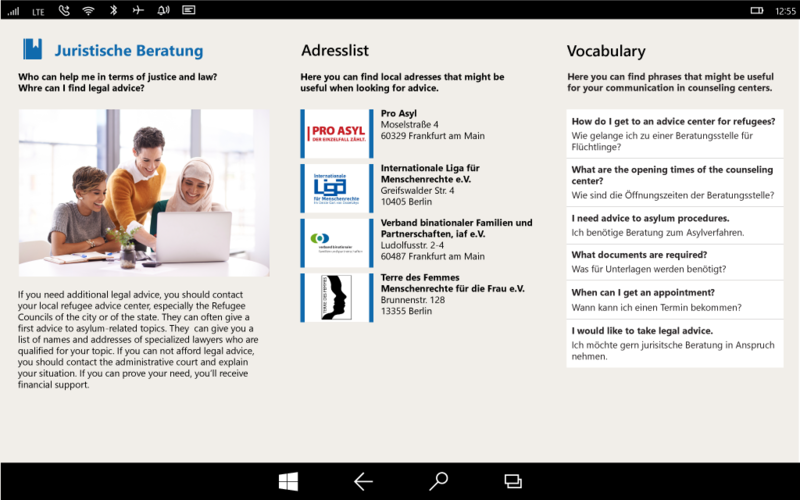 To bridge the first time and to develop a feeling for the language, the welcome app Germany supported their users in the future with an own vocabulary box. Fits on any topic the interested get phrases and sentences in German, as well as in their selected language. These help them to communicate in the specific situation. Through the practical application, the confidence should be strengthened, making it easier in the long run also the entry in the social life.